Design, Production, and Installation of wall murals, conference room signage, branding signage, distraction window vinyl, and code signage. Company branding graphics, wall murals, 3-D branding signage, window vinyl and installation provided. Design, production, installation of a historic New York City topographical map. 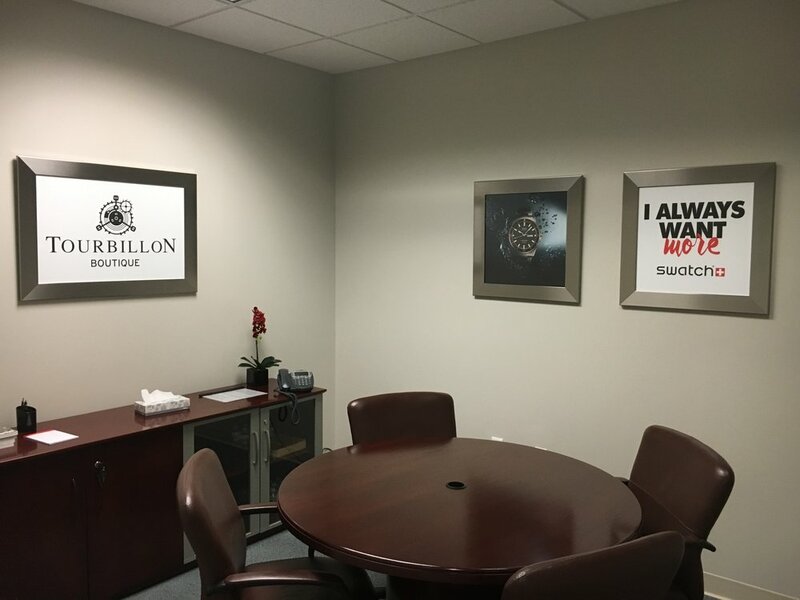 Art and framing provided for corporate headquarters and several branches. Art includes customized imagery on metal, local photo collages, 3D wall sculpture, original art and limited edition giclees. 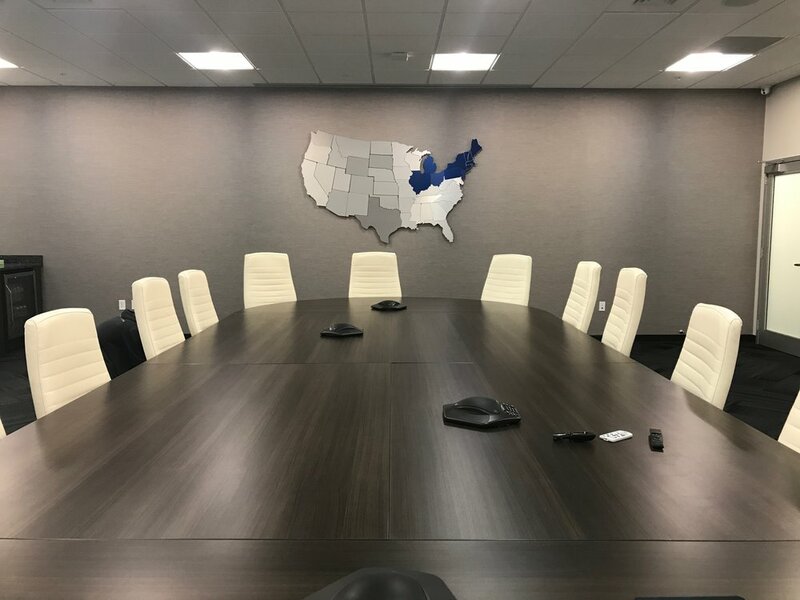 Art package customized using historic image collages on metal to bring a contemporary feel and look to corporate office. Our client wanted to bring historic images from their old factory into their new corporate headquarters. Corporate Art Group’s art consultants worked with a photographer to bring these images to life in the space. Images shown on large acrylic panels with float mount installation.